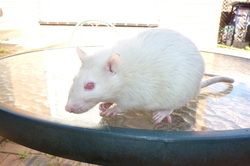 past litter 19-11-11 Sundae&Rico - Baby pet rats for sale, Geelong Victoria. Breeding fancy and pets; common and rare breeds including Rex, Silk, Blue, Black Eyed White BEW and more. Sundae came from Elliem rattery, shes a little shy at times, but doesnt mind cuddles. She has a lovely gentle nature. 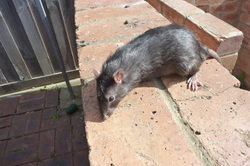 Rico was from Skye heights rattery, hes a big playful boy who loved his cuddles. This is my first silk litter, I'm excited to see how this litter will turn out, both Rico and Sundae are lovely natured rats. I plan to cross my silk rats with my blue rats to breed blue silks!! Blue rats are rarer than silk rats. You will never see a silk or a blue rat in a pet store. FEMALE 2 - DOVE IRISH/SELF - Reserved. AB.